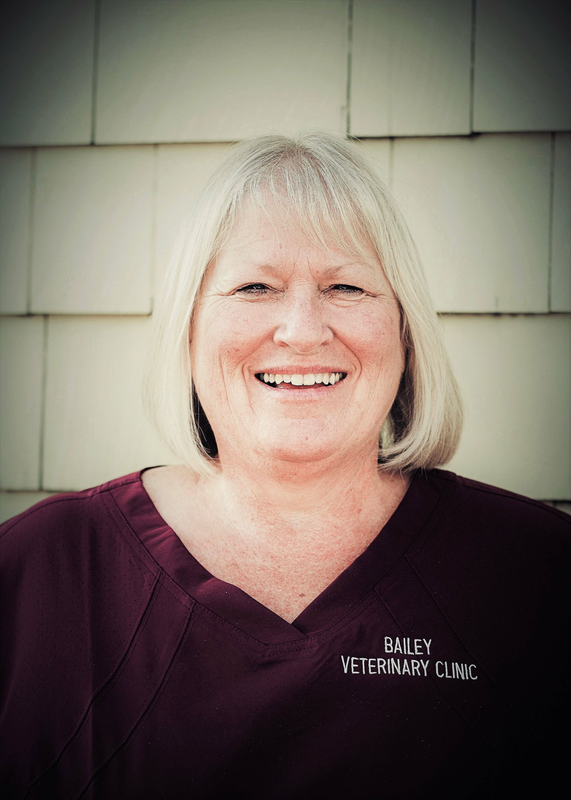 We are pleased to welcome Daleen Thomas as Practice Manager at Bailey Veterinary Clinic. Daleen will be responsible for overseeing all Human Resources initiatives as well as making independent decisions that contribute to the success of the hospital's performance and growth. Daleen is a graduate of Umpqua Community College and currently resides in Roseburg with her husband, Dennis along with their foster baby “Jazz.” She loves spending time with her family of 6 six children and 10 grandchildren and enjoys camping, skiing, boating and any other outdoor activities. Kind, caring, supportive, funny, amazing and fabulous are just a few of the words you’d hear if you asked someone to describe JULIE. She joined the Bailey family in October of 1980 and has graced us with her wonderful smile, devoted work ethic and nurturing personality ever since. Julie has a fur family of 2 dogs and 2 cats. She enjoys traveling, spending time with family and is interested in Alzheimer’s disease. 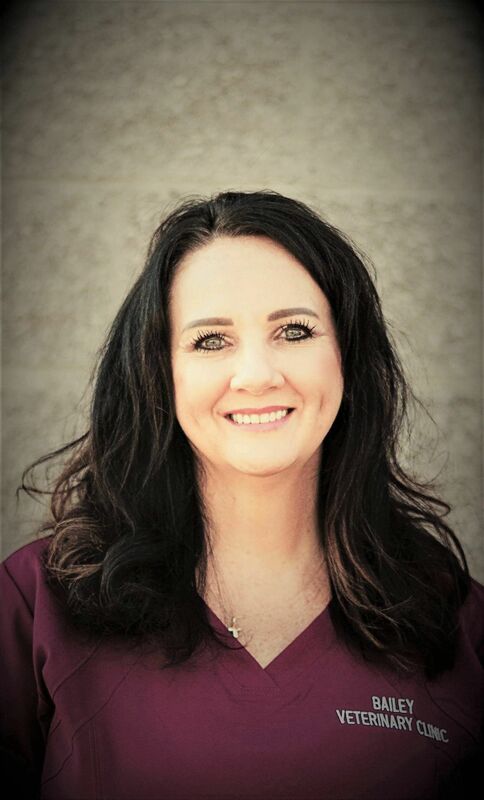 When asked what she likes best about the clinic, Julie says that she likes the Bailey clients and enjoys all of the employees. FAVORITE SAYING/QUOTE: To always pay it forward. 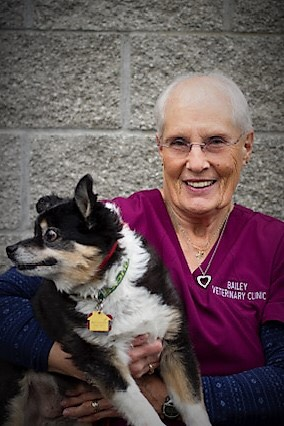 DUSTINE joined our team in November of 2007 bringing with her over 10 years of experience as a veterinary technician. 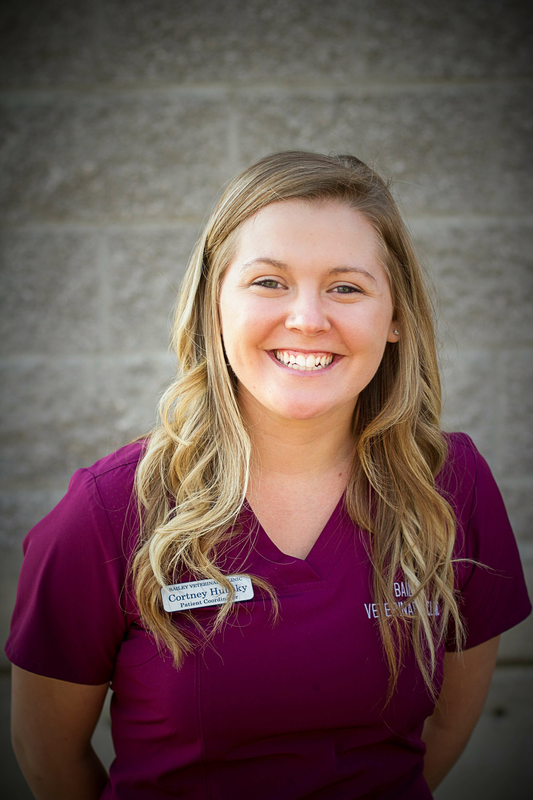 Excellent patient care is one of her passions and her goal is to always treat each pet like they are one of her own. After over 20 years as a technician, she accepted the role as our social media director. In addition to managing our Facebook page and website, she also helps with administrative duties, event planning and still helps to cover technician positions if needed. 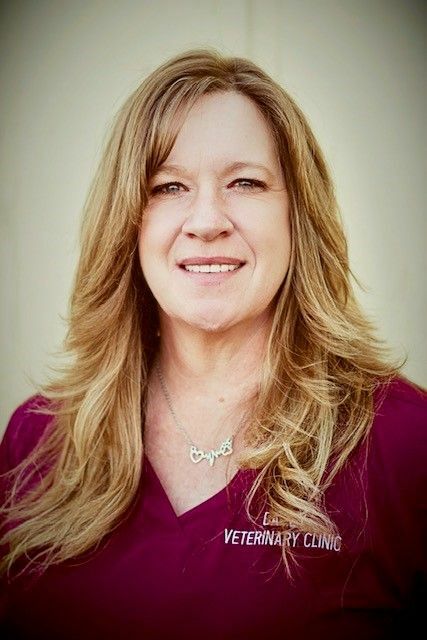 Outside of the clinic she enjoys camping, trips to the coast, spending time with her grandchildren and spoiling her 2 rescue dogs, Ross and Cree. FAVORITE SAYING/QUOTE: One simple hello can lead to a million special things. CORTNEY joined the Bailey's reception team in May of 2015 and we have enjoyed her positive personality and exceptional work ethics. It was because of her amazing customer service and professional demeanor that she was chosen to take on the role of our Patient Services Coordinator in 2019. In her time away from the clinic, she enjoys reading, fishing, hunting and camping with her husband. FAVORITE SAYING/QUOTE: Happiness does not have a price tag....so SMILE!